Putter Length, Shaft will change. 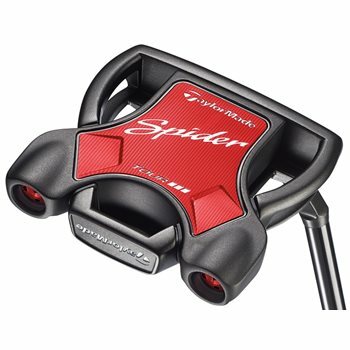 The TaylorMade Spider Tour putters offer a combination of sightlines, toe hangs and hosels for a wide array of alignments to fit any stroke. The lightweight 6061 aluminum core paired with Heavy 304 Stainless Steel Frame for high MOI to ensure that the face stays square to the path. The Pure Roll Insert provides increased forward roll and distance control while the vibration dampening PU foam provides enhanced sound and feel. The Spider features a unique “square” shape for better alignment and movable Weight Technology to match the desired head weight. The Spider Tour Black #3 has a 32° toe hang, small slant, and half shaft. This putter was everything I expected and more. Definition of the putter was spot on and the club was in perfect shape! I've already been able to lower my handicap by 1 stroke!